Being a mountainous country showered by sunshine for a good part of the year, Greece has natural landscapes blanketed by over 3,600 species and subspecies of plants. The healing properties of many of these medicinal plants have been lauded and used since antiquity by doctors such as Hippocrates, Theofrastus, Dioscorides and Galen, and became known to the wider world when the ‘herbal bible’, Dioscorides (40-90 AD) De Materia Medica, was translated into Arabic and Latin in the 12th and 13th C and in German, Spanish, French, Italian and finally English after the 16th C), emerging as the basis of the world’s botanical knowledge. A key player in educating ordinary people about the merits of botanical medicine they could apply to their daily life was playwright Aristophanes, who weaved information about the benefits and uses of herbs into his plays. Indeed, until today, despite by now having access to conventional medicine bought at the nearest drugstore, many rural folk use herbs to make teas, tinctures and other concoctions to treat all kinds of conditions. 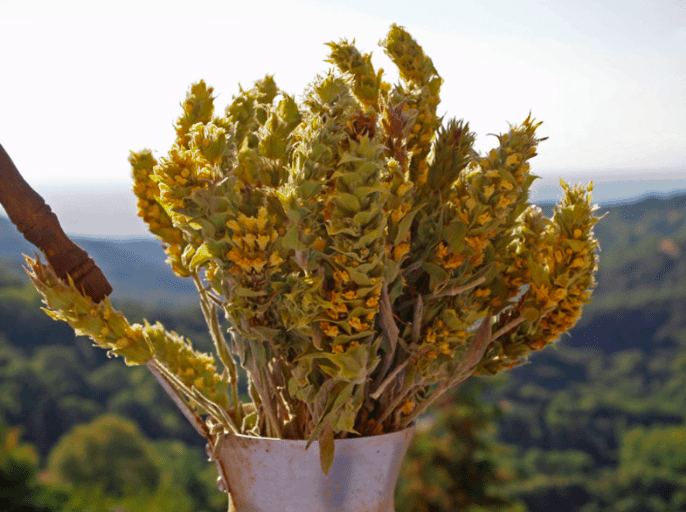 For thousands of years, chamomile, mint, sage and verbena have been go-to healing herbs for making curative infusions in the majority of Greek homes, but in very recent years a great deal of international research has focused on the impressive benefits of mountain tea. Mountain tea, which has a high phyto-nutrient content that protects it from UV rays and other elements, usually grows in rocky places at an altitude of 1000 metres and above (which is why it’s also known as Shepherd’s Tea). The plant has been scientifically shown to offer a multitude of important health benefits as it has powerful antioxidant qualities previously recognised only in green tea. But that’s certainly not all – this herb is also shown to have potent antiviral, antimicrobial, antifungal and antioxidant qualities. 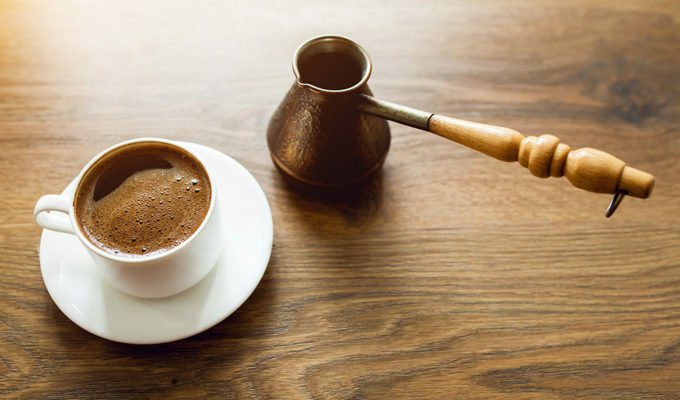 Although caffeine free, Aristotle described it as an energy tonic, and indeed, it is known to boost the immune system; drinking two to three cups of mountain tea every day is thought to help prevent or fight flu symptoms and stress-related ailments such as chest infections, a foggy head, digestive complaints, fatigue and anxiety. 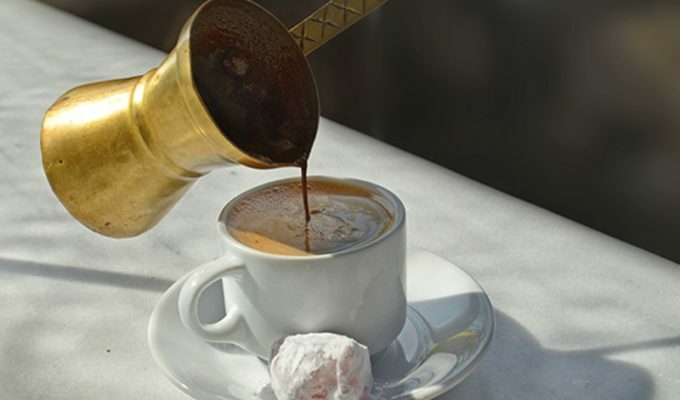 Even as recently as a decade ago, paradoxically one couldn’t order Greek herbal teas even in the rustic kafeneio of a mountain village – the yellow teabags of black tea from abroad had to do. 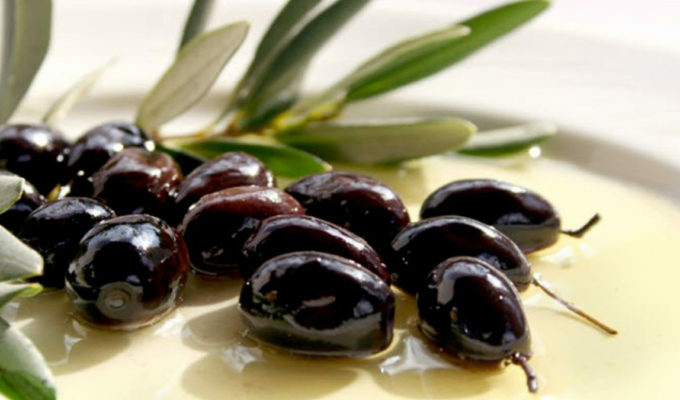 But today, fortunately and finally, Greek entrepreneurs are recognising the blessings and huge potential offered by their country’s natural produce. Mountain tea is now sold in a tin like a soft-drink (sweetened with honey) by the TuVunu company as well as in exquisitely packaged form by Anassa Organic Herbs and other businesses, many of which are by now online. 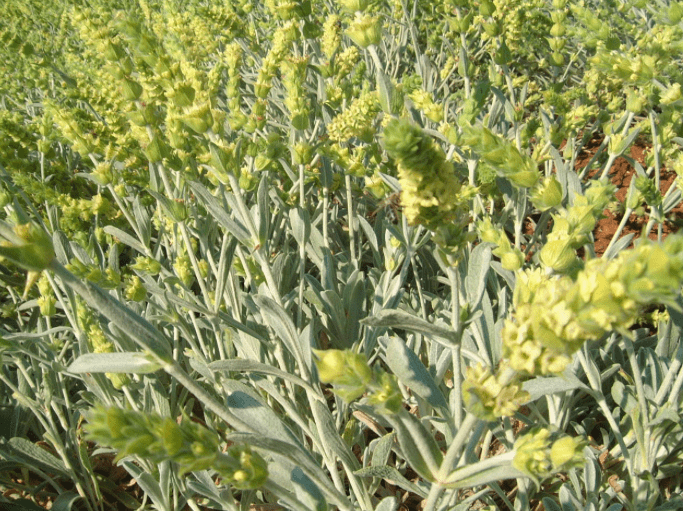 * Tsai vounou is from the Sideritis plant, whose name means ‘made of iron’. Some believe that in ancient times the herb was used to heal wounds from iron spears, while others sustain the name comes from the spear-like shape. * There are around 17 varieties of mountain tea, (which belongs to the mint family). The ones considered to be of the highest quality in Greece are: Sideritis athoa (from Mount Athos), Sideritis clandestina (from Mt Taygetos & the Helmos mountains), Sideritis scardica (from Mt Olympus), Sideritis raeseri (from Mt Parnassos), Sideritis syriaca (from Crete, where it’s known as malotira, meaning, from the Italian, puling away the harm) and Sideritis euboea (from Evia). * Mountain tea is best drunk with a big squeeze of lemon, as the vitamin C in the citrus friuit helps the body absorb iron. * Don’t like the taste? 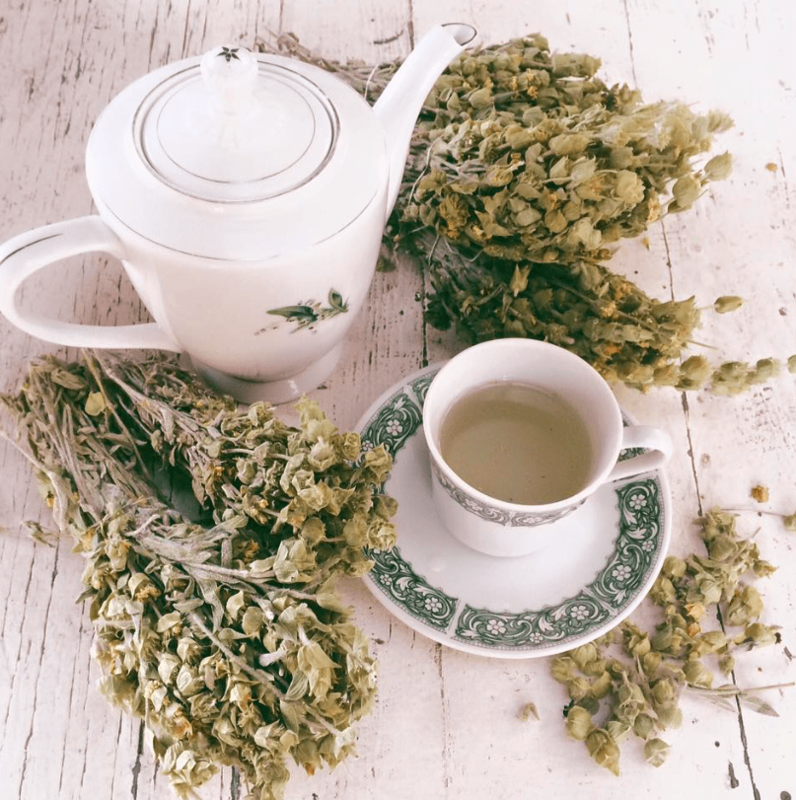 Steep it along with other flavoursome herbs such as mint and chamomile or sage and rosehip – the addition of these will only add to the health benefits of your drink! This is really interesting and I’d love to read more about the benefits of Greek Mountain Tea. Do you have a link to the original research paper? No problem if it’s behind a paywall, I will get access. This is really interesting and I’d love to hear more about Greek Mountain Tea. Do you have a link to the original research article? No problem if it’s behind a paywall, I will get access.